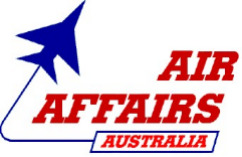 Air Affairs Australia is a world leader in providing specialist training services to Australia’s Defence Forces. One of the specialist training services provided by Air Affairs is the use of specially modified Learjet 35s.Air Affairs’ pilots play the role of the “bad guys” in exercises, working and training in the sky with FA-18s, or “attacking” Navy ships at sea. Two years ago, the company, based at the Albatross Aviation Technology Park in South Nowra, started providing a centralised turnkey service, which has resulted in a staff increase from 30 to 130.The company has 14 specially modified Learjets, drone aircraft and other specialty services and are able to transport equipment anywhere in Australia or in the world. Chief Executive Officer Chris Sievers said Air Affairs was the only company in the world to offer such a complete service and was now exporting its products to nine other countries. “We purchase the aircraft, modify the aircraft, train personnel and operate them,” he said. “The Learjet is the ideal aircraft to act as an adversary in place of a military jet and is a much cheaper option. The business was born in the Shoalhaven after Mr Sievers relocated from Melbourne in 1984. It was a logical base for a company providing such vital support for the Defence Force. Affairs operates drones which are manufactured on site. As well as its Defence work, Air Affairs specialises in bushfire mapping. It has four modified aircraft for mapping fires using infrared photography which allows fire services on the ground to zero in on the fire front where assets are needed. Mr Sievers is proud of the company’s proactive apprentice training scheme and said Air Affairs provided in-house training for all of its pilots and engineers. “We have trained more than 25 apprentices over the years, we have nine on staff now and are about to employ another six,” he said. Mr Sievers paid tribute to the development of the Albatross Aviation Technology Park and said it was an integral part of being able to grow the company’s business. Air Affairs opened a new head office at the Park in early 2018. “The relationship between Shoalhaven City Council and the Defence Forces has enabled us to invest in property here,” he said. “We now have seven buildings housing our headquarters and maintenance and we also subcontract to other businesses that we’ve attracted to the area.